GUANGZHOU, China, April 27, 2018 /PRNewswire/ — GAC Motor, China’s fastest-growing automaker, is debuting the GM6, its all-new minivan, and showcasing its elite vehicle line at the 2018 Beijing International Automotive Exhibition (Auto China 2018) from April 25th – May 4th at the China International Exhibition Center New Venue (Tianzhu). As the latest member of the GAC Motor family, the mid-to-high end GM6 minivan is designed with leading-edge concepts and automotive technologies. It adopts the 1.5L and 1.3T engines, coupled with five-speed manual or six-speed automatic transmissions. And the slim center console has a much more modern and practical design when compared with current models. Together with the previously-released GM8, the family-oriented GM6, with its lower price, will reinforce the company’s complementary advantages in the global minivan market. GAC Motor is also exhibiting its Enverge concept car for the first time in China at Auto China 2018, as well as its signature sedan, SUV and new energy models. GAC Motor’s display at Auto China 2018 has already attracted attention from more than 30 international dealers and distinguished guests, who have spoken highly of the brand’s top quality and design. Rod Alberts, Executive Director of the North American International Auto Show, commented that GAC Motor with its innovative design and high-quality products, has once again brought the world even more excitement. As GAC Motor’s global brand strategy progresses, He is eagerly looking forward to seeing its world-class automobile products in more and more overseas markets. Alberts also invited GAC Motor to participate in next NAIAS in Detroit in January 2019. Jean-Claude Girot, Executive Manager of the Paris Motor Show, also formally invited GAC Motor to demonstrate GAC Motor’s world-class product and capability as a leading brand of Chinese automobile industry to Europe and the world in October 2018. GAC Motor announced the establishment of an automatic transmission manufacturing joint venture with Aisin AW at the press conference. 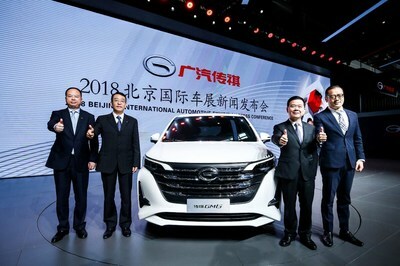 During the Auto China 2018, the company has also signed strategic cooperation agreements with seven new suppliers. Adhering to an international development strategy that connects everybody, GAC Motor is building strategic alliances that integrate global resources and create a more competitive supply chain. On April 26, GAC Motor hosted its 2018 International distributor conference to jointly discuss open, inclusive and win-win partnerships that will help the brand shine on the international stage. 2018 marks the 10th anniversary of GAC Motor. 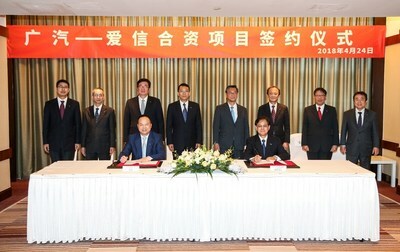 As a part of the outgrowth of its aim to develop globally, the company’s advanced design center is up and running in Los Angeles after the establishment of its R&D center in Silicon Valley, while GAC Motor North American Sales Company and GAC Motor International Company will also be established in the first half of 2018. GAC Motor is scheduled to exhibit at the Paris Motor Show, Los Angeles Auto Show and Moscow International Motor Show later this year. 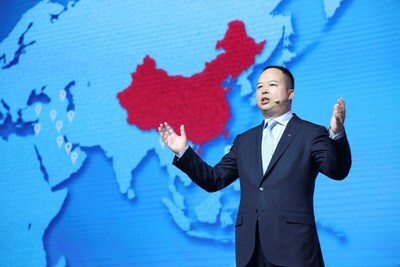 “Based in China with a broad view at the world, GAC Motor will embrace opportunities and develop from a new beginning, offering top quality vehicles and a better mobility life for consumers,” said Yu.